Disney is renewing its attempt to prevent Redbox from selling codes that allow consumers to download digital versions of movies like "Coco," "Thor: Ragnarok," and "Black Panther." "Redbox’s conduct interferes with Disney’s right to control how it distributes its content," Disney argues in a request for an injunction filed this week with U.S. District Court Judge Dean D. Pregerson in the Central District of California. "Redbox’s sale of Codes also continues to threaten immediate and irreparable harm to Disney’s relationships, goodwill, and ability to negotiate with licensees." The battle between Disney and Redbox centers on movie combination packages that include a DVD, Blu-Ray Disc and code for a digital download from RedeemDigitalMovie.com. Disney first alleged in a lawsuit filed last year that Redbox purchases the packages, rents or sells the discs at its kiosks, and then separately sells codes that enables consumers to download movies. 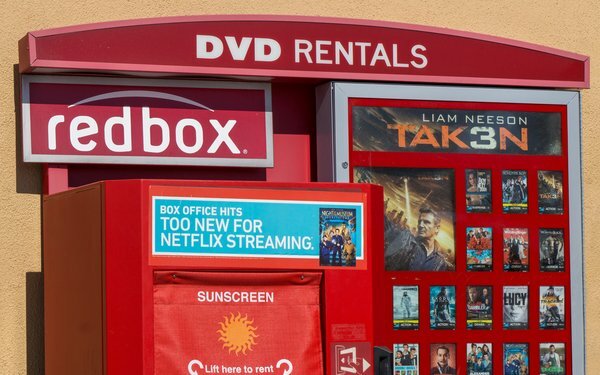 The movie studio claimed that Redbox's sales of the codes were improper for several reasons, including that the boxes state: "Codes are not for sale or transfer." Disney said that language created an enforceable contract between itself and purchasers, and sought an injunction barring Redbox from continuing to sell the download codes. In February, Pregerson rejected Disney's request. He ruled that the phrase "Codes are not for sale or transfer" doesn't inform consumers they are agreeing to a binding contract by opening the packages. Pregerson also ruled that Disney wasn't entitled to an injunction because it had "misused" its copyright by attempting to prevent purchasers from re-selling the DVDs or Discs. That portion of the ruling turned on language at the redemption sites, which required users to state that they owned the physical DVDs and Discs that were in the packages. But that requirement amounted to an attempt by Disney to prevent consumers from selling merchandise they had legally acquired, Pregerson ruled. Disney now says that it has revised the language at the redemption site, which no longer says that consumers must own the physical DVDs and Discs in order to download movies. Instead, the new language informs consumers that they are only authorized to use a download code if they have purchased the code from a combination pack. The company says that it's entitled to an injunction against Redbox, given the recent changes to the redemption sites. "Disney has chosen not to sell codes as a freestanding commercial product and instead offers them as a benefit to consumers who choose to buy Combo Packs," the company writes in its new court papers. "Redbox has no right to interfere with that decision."